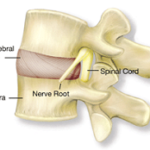 Intervertebral Differential Dynamics (or more simply IDD) Therapy treatment is a non-surgical spinal decompression programme for low back pain, neck pain and some related conditions. It was developed in the late 1990s to address the failings of traditional traction and the natural limitations of what can be achieved with the hands alone. Who is suitable for IDD Therapy? IDD is suitable for patients suffering with unresolved back pain, neck pain, leg pain (sciatica) or arm pain caused by spinal nerve root irritation. Most commonly, patients with bulging or herniated discs (‘slipped disc’), degenerative disc disease and chronic stiffness in the lower back are candidates for treatment. In most cases patients have had back pain for more than three months. They will have already had standard conservative treatments and feel that their unresolved back pain is continuing to impact negatively on their life. Patients may be taking pain medications and in the extreme, may be considering pain injections and/or surgery. IDD Therapy applies computer-controlled pulling forces at precisely measured angles to gently distract (draw apart) targeted spinal segments. Distracting vertebral joints relieves pressure on the disc and any pinched nerves (a cause of sciatic pain) whilst promoting the movement and absorption of fluids and nutrients in the disc space. These fluids and nutrients are essential for disc health. Whilst distracting the vertebrae the treatment also works tight or stiff muscles and ligaments, helping to get more movement into the joints. The body has a natural maintenance and healing mechanism. By progressively improving the mobility in a joint, these mechanisms can operate more effectively and help to relieve pain. IDD Therapy is delivered by the SPINA range of FDA cleared Class II medical devices. These new machines use sophisticated computer software to apply controlled pulling forces at measured angles in a precise and safe manner to a patient who remains fully clothed, comfortable and relaxed on the treatment bed. Ergonomic harnesses connect the patient to the SPINA machine and taking into account the patient’s weight and condition, a distraction force (stretch) is applied to targeted segments of the spine. Pulling forces are gradually increased over the course of treatments as the body becomes conditioned to the treatment. All aspects of IDD Therapy are recorded by the SPINA machine. In addition to treatment on the SPINA machine, patients begin with ten minutes of infrared heat applied to their lower back using new carbon fabric infrared pads worn against the body (Thermedic). These infrared pads help to relieve pain and increase blood flow in the target area. Warming muscles and ligaments helps to make them more supple and this allows a deeper and more comfortable distraction on the machine. After treatment on the SPINA machine, patients have ten minutes with cold therapy to help prevent any temporary soreness caused by muscles being worked in a new way. What is the difference between IDD Therapy and traction? Evidence shows that traction for back pain is not effective1. Traditional traction did not allow clinicians to repeatedly apply distraction forces in such a precise, comfortable and controlled manner. With IDD Therapy, computer-controlled distraction forces are applied progressively at precisely measured angles to focus treatment at targeted spinal segments at the origin of pain. Moreover IDD Therapy has a unique ability to combine distraction with joint mobilisation in a longitudinal plane at the point of maximum joint distraction. In simple terms this means that there are two different movements taking place: firstly a stretch along the length of the spine and then at the point of maximum stretch, an undulating movement rather like an accordion opening and closing is applied. This creates small pressure differentials and works soft tissues. Is there evidence for the success of treatment? modalities2,3,4,5. Further research will be undertaken as part of a commitment to evidence-based medicine. The manufacturers of the SPINA devices have programmed internationally-recognised research tools into the computer software to enable clinicians to measure, analyse and report ongoing patient outcomes. No other physiotherapeutic device has such ability to measure and monitor the outcomes of treatment. Each treatment lasts for up to 1 hour and is billed by time in line with standard manual therapy charges. Patients have a series of treatments typically spread over 4 to 6 weeks. This is to allow time for the body to adapt to treatment with a goal of progressively improving spine function. Whilst symptomatic relief can be experienced in the early stages in treatment, the body does not adjust overnight where chronic conditions have built up over time. The exact number of treatments depends on the nature of your condition and how you progress with treatment. Is IDD Therapy suitable for neck pain? Yes. The SPINA machines are equipped for cervical treatment and have a special unit for neck pain. Treatment lasts 25 minutes and is precise, gentle and safe. Evidence has shown that people who undergo a course of IDD Therapy treatment can see continued improvement after treatment has finished6. The goal of the IDD Therapy programme is to relieve pain and allow segments of the spine to move freely. Improving mobility is essential to enable the body’s natural healing and maintenance mechanisms to operate more efficiently and thus give lasting improvement. Long term success does not only depend on the nature of the condition being treated but also the patient’s ability to make recommended lifestyle changes such as incorporating exercise into their weekly routine. Whilst some patients will have occasional top up treatment, combining the treatment programme with lifestyle changes can help avoid recurrent bouts of back pain. Will I feel any pain during or after treatment? The secondary objective of the treatment is for it to be as comfortable as possible. Patients do not typically feel pain during treatment; most are very relaxed and some even go to sleep. Patients can experience temporary soreness following treatment since muscles which have not been used are being worked in a new way. Cold packs are used to relieve soreness which usually passes as treatment develops and the body adapts. Do I need to do any exercise or activity? Yes, though nothing too strenuous! The goal of the spinal rehabilitation programme is to improve mobility, relieve pain and create a platform for activity. As treatment progresses you will be given gentle exercises to perform and shown how to look after your back properly. Exercise and activity are an important part of long term rehabilitation. I have had surgery on my back in the past – could I still be a possible candidate for IDD? Patients who have had surgery can have treatment, provided that the procedure was not within the previous six months (to allow for complete healing) and there are no surgical implants. Is there an upper age limit to having IDD Therapy? There is no upper age limit to having IDD Therapy and many mature patients enjoy good outcomes with treatment. Treatment is adjusted according to the condition of the person being treated. How do I know if I’m suitable for IDD Therapy? Not all back pain sufferers are suitable candidates for IDD Therapy. If you have tried standard conservative treatments such as physiotherapy, osteopathy and chiropractic without success, we recommend you have a consultation at an IDD Therapy clinic in your area. You will be examined by a professionally qualified clinician who will advise you whether you are suitable for treatment. If you are not suitable for IDD then the clinic may be able to offer you other treatments for your condition or make a referral for you. Where is IDD Therapy available? IDD Therapy treatment is available at a network of clinics in the UK and over 1,000 clinics worldwide. Treatment is provided by physiotherapists, osteopaths and chiropractors, as well as medical doctors and pain consultants. To book an assessment, contact your approved IDD Therapy Disc Clinic. 1 Clarke JA, van Tulder MW, Blomberg SEI, de Vet HCW, van der Heijden GJ, Brønfort G, Bouter LM. Traction for low-back pain with or without sciatica. Cochrane Database of Systematic Reviews 2007, Issue 2. Art. No. : CD003010. DOI: 10.1002/14651858.CD003010.pub4. 3 Eyerman EL. Simple Pelvic Traction Gives Inconsistent Relief to Herniated Lumbar Disc Sufferers. Journal of Neuroimaging Vol. 8 No. 2 1998. 4 McClure D and Farris B, Intervertebral Differential Dynamics Therapy – A New Direction for the Initial Treatment of Low Back Pain. European Musculoskeletal Review 2006. 45-48.